The School of Tennis Management is built with your future in mind. We've refined and condensed a curriculum for tennis management based on years of hard work and dedication. Now it's your turn to learn from the brightest minds in the industry and transform your career path into something sustainable, successful, and rewarding. Think outside the lines. Build a sustainable, rewarding tennis career where you can really thrive. Are you passionate about tennis, but would like to incorporate that passion into a high-paying , sustainable, and intrinsically rewarding career path? The tennis industry is on the rise and motivated professionals in a management position are in high demand. We envisioned a tennis management school that could develop tennis industry professionals with unparalleled opportunities for success. The team behind our school have experienced a shared journey of moving from teaching pro to facility manager to school director and beyond. The School of Tennis Management was born from our combined 35+ years of experience and unique trade secrets. Ted Bradley, the Gates Tennis Center General Manager and School Director, is working hand-in-hand with school founder Sam Hitman to deliver an amazing learning experience to the tennis world. 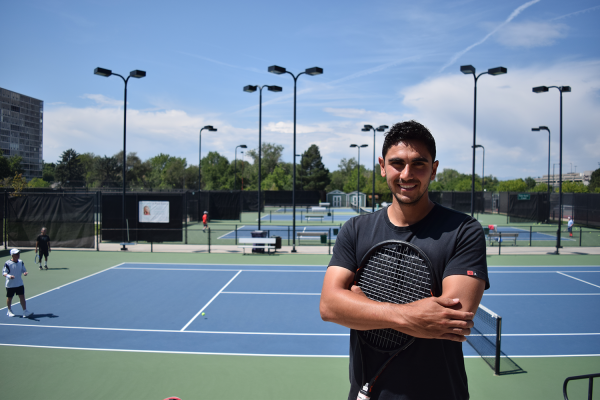 The School of Tennis Management operates around a facility that includes over 30 pros, a 500+ participant singles ladder, 90 league teams, the largest and most historic tournament in the state of Colorado, 20 adult courts and 4 youth courts. While we do offer a traditional classroom experience for a portion of the education, our hands-on, "get-dirty" format outside the classroom is an unparalleled experience to help facilitate the complete understanding of true management success.